Discover and activate your intention for 2018 through learning the art of mandala-making – a day of creativity, relaxation and fun. 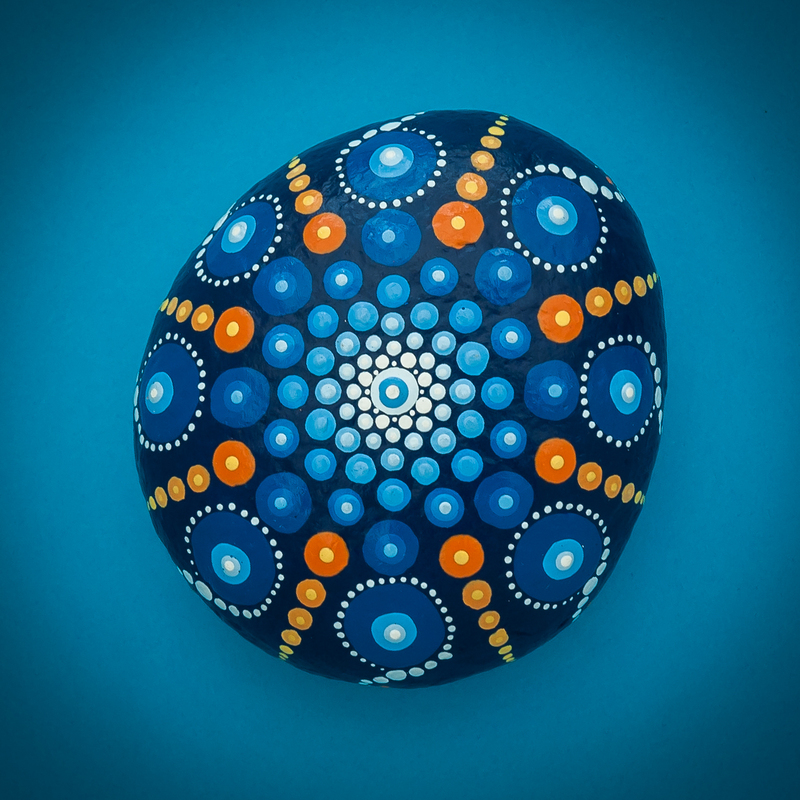 During this one-day workshop I guide you step-by-step through the process of creating a beautiful dot-mandala on your choice of stone or canvas. 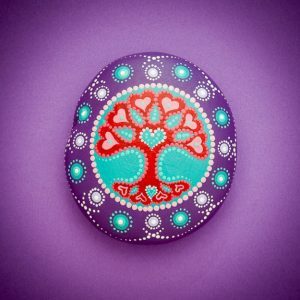 I lead you in a guided meditation to help you tune into your creative genius (everyone has one!!) and discover the intention you want for 2018. Engaging in the creative process with intention sparks the power within you to make things happen! Your mandala creation becomes the reference for the focus you need to cultivate to stay on track with 2018 goals.This is for you if you want a nourishing day to explore your creativity (or a different aspect of it) but rarely give yourself the time or space; and if you want a different and creative way to approach the New Year! 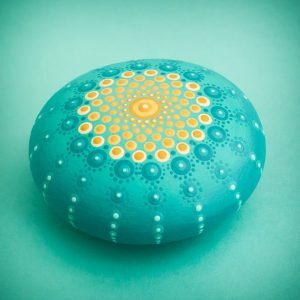 You will learn a skill that you can continue to practice in your own time; one that brings relaxation and allows the stresses of everyday life to melt away. Many people continue on their own after the workshop and report back how much they love their newfound creativity and the joy that the process brings. 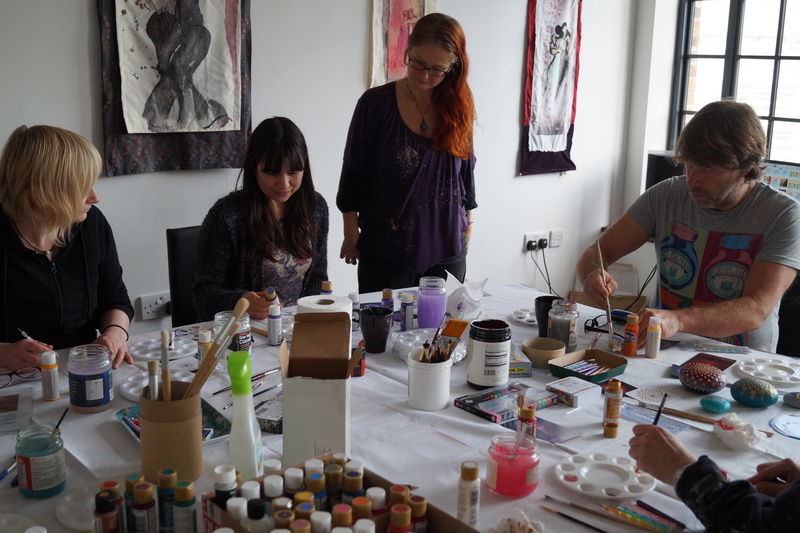 “I really loved Natasha’s mandala workshop. She held the space beautifully and it was so relaxing to paint wonderful patterns. It took me to a deeply spiritual place. 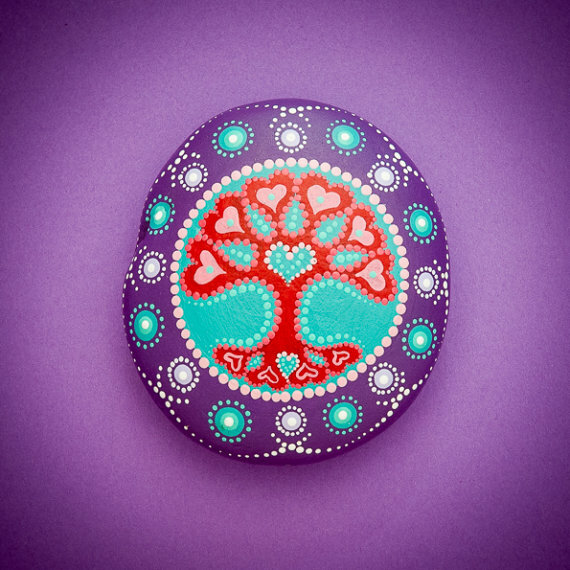 Following on from the workshop I painted many more pebbles and gave them to people as presents. 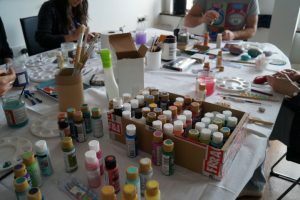 I highly recommend this workshop for anyone who wants to get in touch with their creativity!” Julia C., Bristol. This is as much about discovering your innate creative nature as it is about practical use of tools and paint. 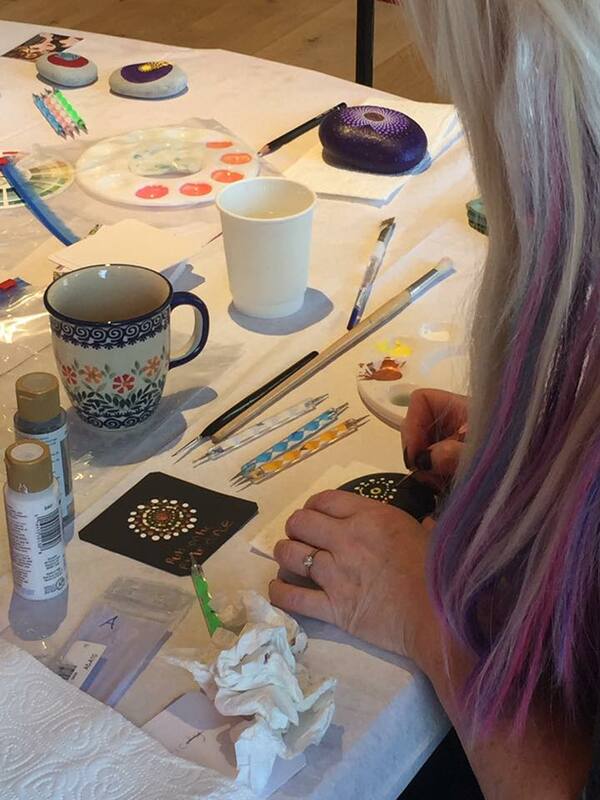 Creating mandalas is a meditation in action and your mandala will carry the power and magic of your intention into your day-to-day reality as you continue to work with it’s energies. All will be explained! Are you ready for the mystery and magic of mandalas?! You do not need any painting experience and all tools and materials will be supplied; all that’s required is that you show up ready to play! My own mandala practice has yielded big magic and joy in my own life resulting in my dream of making a living as an artist and being offered a book deal by a publishing company! Continually engaging our creative energy balances and relaxes us, allowing hidden dreams to surface and feel possible! “I highly recommend Natasha’s workshop. I’m not an artist so what I produced totally exceeded my expectations. I was still on a high the next morning! To come away with something I had made was really special.” Tasha H, Bristol. Arrive 10.45 for 11am start – please be on time. Only 8 places available – book early to secure your place. Let me know when you book you are buying a gift voucher and I will send the voucher to your given address. The minimum age for this event is 16 and anyone under the age of 18 must be accompanied by a parent or guardian. Please note the inclusion of meditation in the event and consider if this is right for the young person attending. Parking is on local streets or nearby car parks (Trenchard Street is the closest). Please wear old or protective clothing to prevent paint from getting on your clothes. Please bring your own lunch although a limited number of nearby cafe’s are open on Sundays. There will be a break for lunch and you may eat on site (plates and cutlery available).